It was a very physical game. 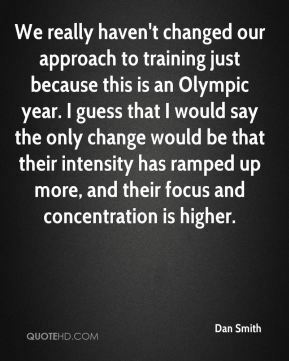 We have a young team comparatively, and we've had a tough time in our scrimmages, but I think we're jelling right. 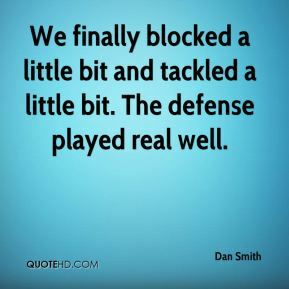 We finally blocked a little bit and tackled a little bit. The defense played real well. They looked just like the team that won it all last year. 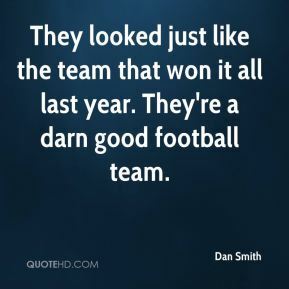 They're a darn good football team. 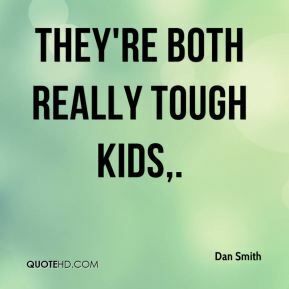 They're both really tough kids. They're both very aggressive. 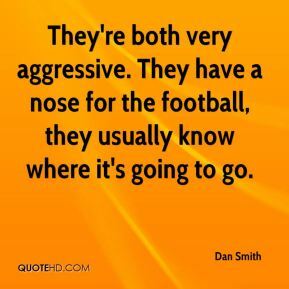 They have a nose for the football, they usually know where it's going to go. This is very rare. 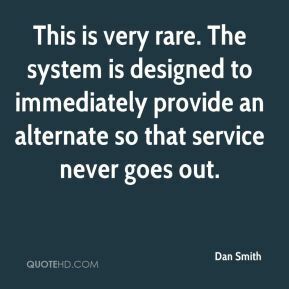 The system is designed to immediately provide an alternate so that service never goes out. 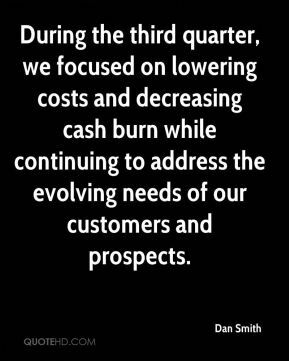 During the third quarter, we focused on lowering costs and decreasing cash burn while continuing to address the evolving needs of our customers and prospects. 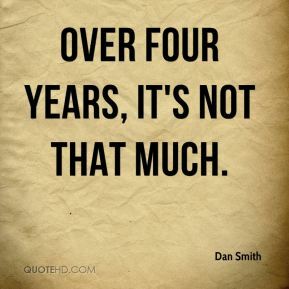 Over four years, it's not that much. We've got a good kickoff guy. The guys just went to sleep. 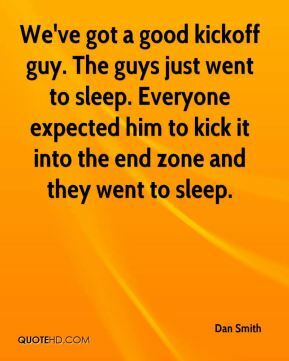 Everyone expected him to kick it into the end zone and they went to sleep. 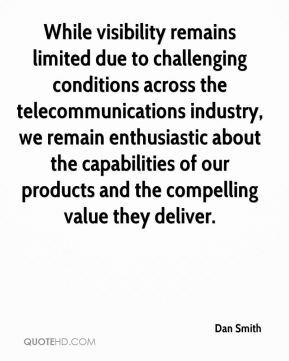 This was going to be our measuring stick to see where we're at. We have to cut out the mistakes. 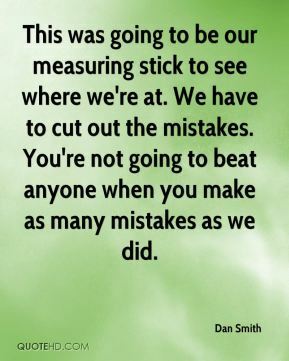 You're not going to beat anyone when you make as many mistakes as we did. We work out of a 5-2 front. 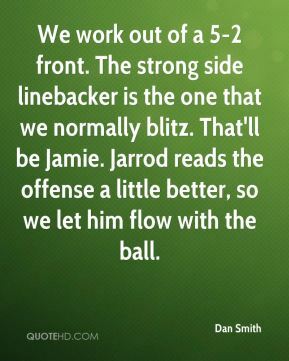 The strong side linebacker is the one that we normally blitz. That'll be Jamie. Jarrod reads the offense a little better, so we let him flow with the ball. 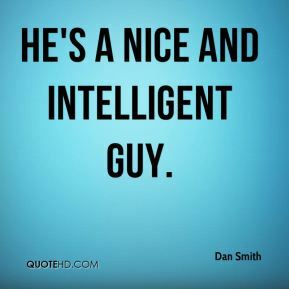 He's a nice and intelligent guy. I don't have any explanation for that. That was just a meltdown. 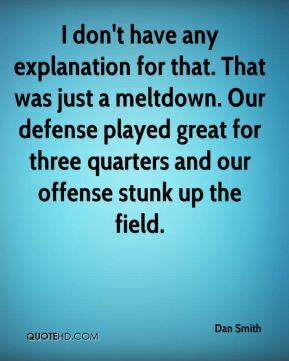 Our defense played great for three quarters and our offense stunk up the field. 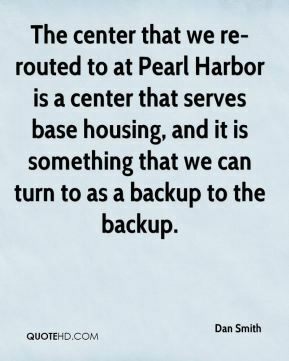 The center that we re-routed to at Pearl Harbor is a center that serves base housing, and it is something that we can turn to as a backup to the backup. 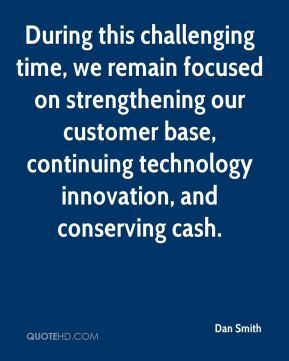 During this challenging time, we remain focused on strengthening our customer base, continuing technology innovation, and conserving cash. 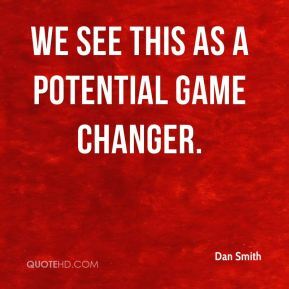 We see this as a potential game changer. The heavy, wet snow just really compacted on top of the bubble. 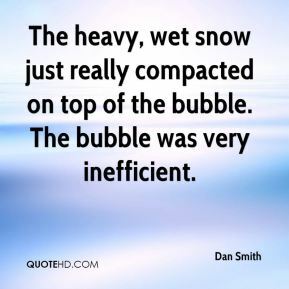 The bubble was very inefficient. In Tom Clark's passing, Kentuckians and all those who care about history have lost an absolute treasure. 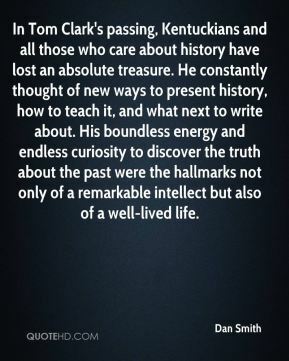 He constantly thought of new ways to present history, how to teach it, and what next to write about. His boundless energy and endless curiosity to discover the truth about the past were the hallmarks not only of a remarkable intellect but also of a well-lived life. I think it represents wholesomeness, ... is the land of wholesome living and bed and breakfasts. He was a very soft-spoken, quiet guy who thought deeply. He was a very kind colleague who didn't try to lord it over other people. 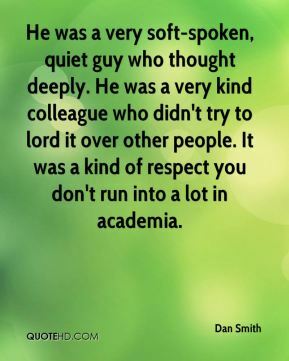 It was a kind of respect you don't run into a lot in academia.